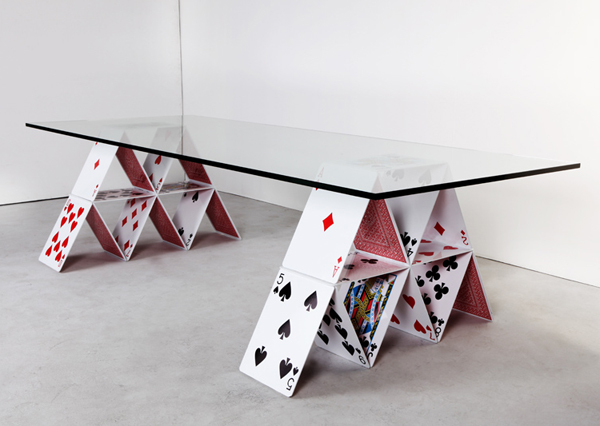 Mauricio Arruda's unique table design adds a touch of Las Vegas gambling flair to any dining room or office. This creatively-crafted table may appear as though it could tumble with just one heavy breath, but it actually can actually support for up to 550lbs. Craftsmen has to laser cut each of these oversized playing card using 4mm steel plates before wielding them together for additional sturdiness. Pretty impressive!